Santa Google is delivering gifts early this year! Instead of being surprised at Google I/O’s keynote, attendees got an email this morning with a gift attached to it. Depending on the attendee’s country code, they will either receive a Motorola Droid or Nexus One phone as a gift. Android will play a big role in this year’s Google I/O conference, so what better way to get developers excited than to give them an Android OS phone a month in advance. They’ll be able to familiarize themselves with the Android SDK way before the heading to the conference. Google I/O would like the attendees to be put their new phones to work at the conference. A conference app will be available for download before May 19th, over 40 companies will be demo-ing their apps in the developer sandbox, so there will be more apps for us to test out, and they will continue the tradition of the SCVNGR game where attendees hunt and find hidden QR codes in the conference area. More answers and questions about the Google I/O gift can be found here. 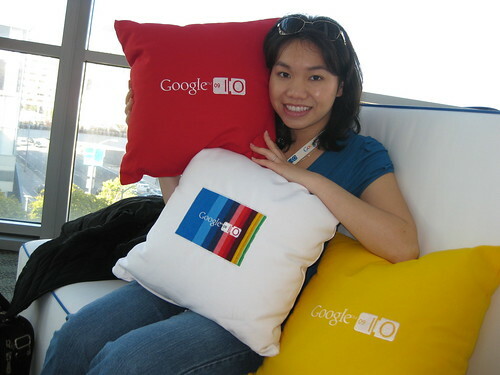 And if you’re attending Google I/O 2010 in San Francisco, I’ll see you there!